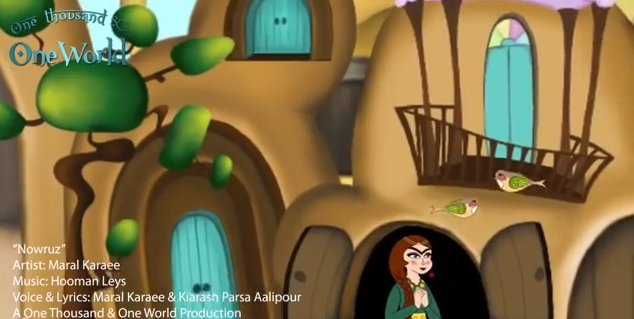 This video is still one of my favorite Norouz related cartoons. Today’s video’s title is Nowruz and Persian New Year انیمیشن شاد درباره نوروز و هفت سین. It is produced by 1001 World Productions and it runs for 2:39 minutes.